Most Burma dive liveaboards are geared towards certified divers and it is normally not possible to get SCUBA certified on the boat. Most divers joining these liveaboards have dive experience, the longer trips to remote areas appeal to the more experienced diver looking to see something new and to get away from the crowds. It is normally possible to do con-ed courses on a liveaboard. 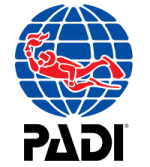 PADI Advanced courses and PADI specialty courses are available if pre booked. PADI specialty courses such as Enriched Air Nitrox and Digital Photography can be easily integrated into the scheduled liveaboard dives. If you are a new diver looking for a PADI dive centre in Burma have a look at the Myanmar Andaman Resort. As Myanmar opens to tourists more dive centres are bound to spring up. You will struggle to buy or rent dive gear in Burma. Neighbouring Thailand is a good place to get any dive equipment. Bangkok, Phuket and Khao Lak have dive shops that sell all the major SCUBA brands. Day trip diving is also hard to find in Myanmar. By far the most practical way to dive the many islands of the Mergui archipelago, is from a dedicated liveaboard boat. Your liveaboard will likely depart from Phuket or Khao Lak in Thailand where it is possible to do day trip dives.